This is the bit where I get all enthusiastic about last week’s reviews, be they hits or stinkers. But it’s hard to effuse about a compilation movie. They are the bane of many an anime fan, theatrical features that try, usually in vain to condense several episodes of narrative into a couple of hours, using footage designed for a TV screen, projected onto a cinema screen instead. The home video version at least eliminates the latter complaint, but you still have a compilation to watch, edited highlights where the TV series itself would be more satisfying. That’s the dilemma I faced with Eureka Seven - Hi-Evolution 1, which as well as condensing a portion of Renton Thurston’s adventures, also adds something new. That something new, a prequel sequence is well worth a watch, but this isn’t the Holy Grail; a compilation movie better than the series it compiles. My indifference continued as I took a look at Hozuki’s Coolheadedness, although this time it was my own purchase rather than a review disc. I was looking forward to some offbeat comedy, and on paper Hozuki certainly fits the bill. It’s the story of a bureaucrat in charge of hell. He works for the boss, Enma, and while Enma fulfils his duties passing judgment over the condemned, it’s Hozuki who has to deal with the paperwork. This is a show that has won a load of plaudits and a second season, but a sight too many pop culture references, and nods to Japanese mythology makes this a production note caption hell all of its own. School Rumble Season 1. At least I had this to make me laugh! It begins with a love triangle. Tenma loves Karasuma, the ditzy girl is besotted with the expressionless oddball, and will go to ridiculous lengths to be noticed by him. Harima is in love with Tenma, the school delinquent will do whatever it takes to be noticed by her, except her energy is focused on Karasuma. As for Karasuma... he loves curry. It’s a great set-up for a show, but School Rumble has a school full of quirky, entertaining characters, gradually introduced with each subsequent episode and the comedy just builds and builds. 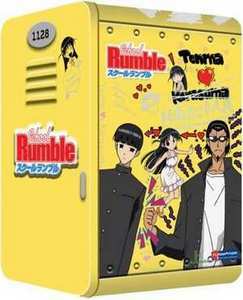 Alas, School Rumble is a victim of Revelation’s brief relationship with Funimation. They started off with the best intentions, Volume 1 of School Rumble came with a tin to keep all six discs in, but in the end, Revelation stopped releasing School Rumble with volume 3. I had to import the final three volumes from the US. Here’s my review of Revelation’s volume 1 back in 2008. The show subsequently got a complete series release from Funimation in the US, and has had plenty of re-releases over the year. Right now you can buy the S.A.V.E. editions, Season 1 is collected with the OVA release in one set, and Season 2 is available separately in another. 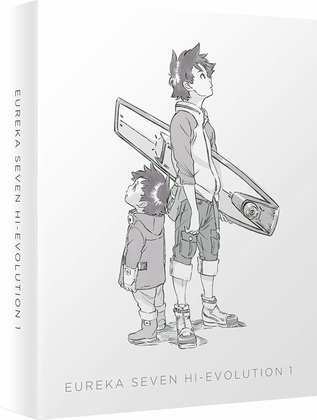 All the Anime will release Eureka Seven – Hi-Evolution on DVD and on Collector’s Edition Combi on September 10th. 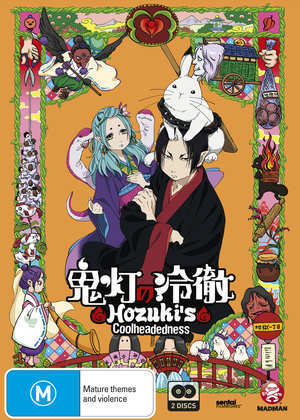 Madman Entertainment released Hozuki’s Coolheadedness on DVD back in 2015.